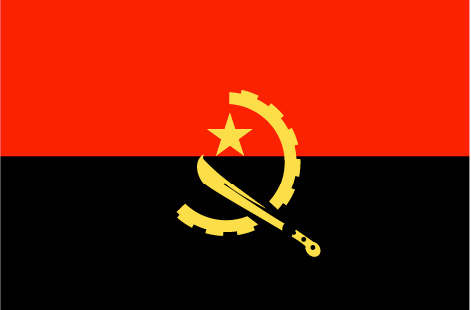 The social situation in Angola has been badly marred by over twenty years of civil war. The need for social welfare facilities, especially for the many refugees and war orphans, is great. The first talks between SOS-Kinderdorf International and the Angolan government were held in 1986 and eventually, in 1992, a government agreement was signed. The cornerstone of the first Angolan SOS Children's Village was laid in Lubango in September 1994 and after only two years of construction works, the family houses were completed. At the same time, an SOS Vocational Training Centre for agriculture became operational. An SOS Hermann Gmeiner School, an SOS Kindergarten and an SOS Medical Centre were opened on the premises of SOS Children's Village Lubango in April 1997. In 2003, an SOS Youth Facility was added. Construction work on the second Angolan SOS Children's Village in Benguela was completed in 2005. An SOS Kindergarten, an SOS Hermann Gmeiner School and an SOS Medical Centre are also part of the SOS Children's Village in Benguela. Because of the tense social conditions in Angola, SOS Emergency Relief Programs had been run in Lubango and Benguela since 1994. The services offered included a meningitis immunisation program, feeding centres, literacy programs for refugee children and material support for neighbouring orphanages and medical centres. In 2005, the emergency relief programs were converted into family strengthening programs. These programs offer support to families who are at risk of abandoning their children and enable children to grow within a caring family environment. Together with local authorities and other service providers, SOS Children’s Villages supports families and helps them to take good care of their children. A third SOS Children's Village is currently being built in Huambo. Huambo is the capital of Huambo province and lies about 600 kilometres southeast of Luanda, the Angolan capital. Although the Angolan economy is growing, the country has been ranking in the bottom 10 of most socio-economic indicators for years. It is estimated that more than half the population is still living below the poverty line. At the same time, more than half the population consists of children under the age of fifteen. More than one million children are believed not to have access to education or health facilities. Huambo province was largely affected by the war, making its children the most vulnerable. SOS Children's Village Huambo is being built on a five-hectare plot on the outskirts of town. The two pieces of land - one for the SOS Children's Village, one for the SOS Hermann Gmeiner School - are located next to the main road to Bie. The neighbourhood is growing to be a lower middle class living area. SOS Children's Village Huambo will comprise twelve family houses for up to 120 children, houses for the village director and the SOS aunts (who support the SOS mothers and take care of the children when the mothers are on leave), a community building and a workshop. In its four playrooms, the adjoining SOS Kindergarten will offer pre-school education for up to 120 children. The SOS Hermann Gmeiner School will consist of nine classrooms and two additional specialist classrooms, accommodating up to 600 primary school pupils. The SOS Medical Centre (mother and child clinic) will offer medical care and assistance to up to about 800 children and 400 adults. The SOS Social Centre has already been running its family strengthening program since 2008, focussing on a package of services especially for HIV and AIDS affected families. In collaboration with communities and local authorities, families receive support to build their capacity to protect and care for their children (e.g. income generation, parental skills) and to gain access to essential services (e.g. education, medical care).